At the heart of Bijoy Jain and Studio Mumbai’s ethos is the concept of lore, defined as “a body of traditional knowledge passed on by word of mouth”. 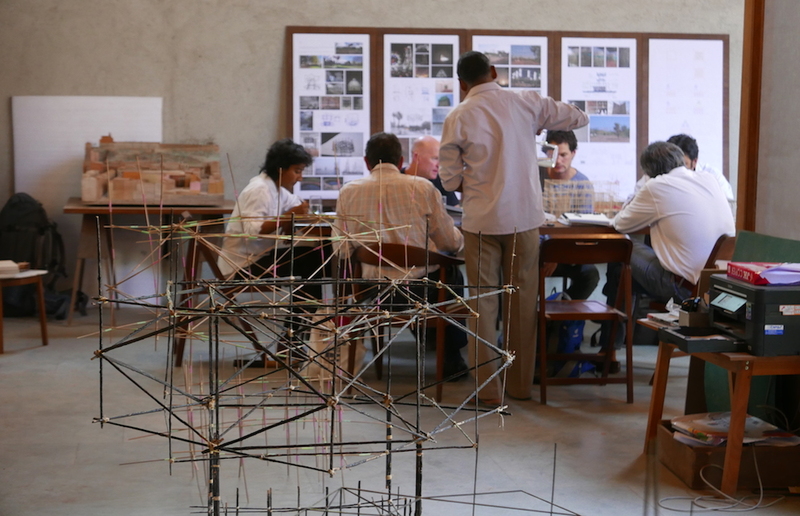 It follows that, in the creation of MPavilion, lore was heartily practiced when the MPavilion building team travelled to India to learn Studio Mumbai’s methods. This MTalks event is a panel talk with the hands-on crew behind MPavilion’s build. Tony Isaacson from Kane Constructions, Helen Wellman from Tract Consultants, Sam Redston from Flot&Jet, lighting designer Ben Cobham from Bluebottle and senior structural engineer John Noel from ARUP engineering will sit down and speak in front of you, the audience, about how MPavilion was built, the working process with Studio Mumbai, the team’s visits to India and, of course, lore! You can now listen to this talk’s recording on our MPavilion library page.